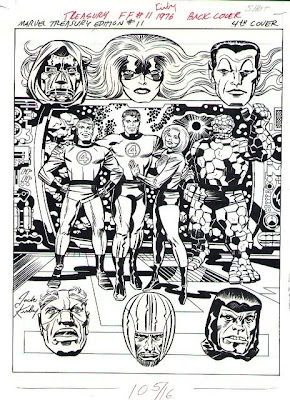 Today is the fiftieth anniversary of the Fantastic Four. Allegedly, it was August 8, 1961 when the book first went on sale. I say "allegedly" because I've never seen any first-hand data to confirm that; the earliest mention I ever saw of that date was in Greg Theakston's Pure Images #2 circa 1991. I have no reason to doubt Theakston, but he also didn't cite where he got that date. In any event, I figure I ought to take a few moments to say something about the FF. I've talked before on how I first came to "meet" the team. But I don't think I've talked about what they meant to me growing up. But the Fantastic Four stood out for me. A lot of individual heroes were cool and all, but I liked the team aspect of the FF. Unlike the Avengers or the Justice League, who seemed much more like employers of superheroes, the FF were friends. They were together because they just plain liked each other, not because they were getting paid or had some other obligation to be superheroes. The FF kept getting called a family, but they were family defined more by their camaraderie than by blood. And for a kid who was sitting alone in his room for the upteenth day in a row -- not because he was grounded or unable to go anywhere, but simply because he didn't have anywhere to go or anyone to go with -- that notion of a close-knit group of friends was really appealing. If you think about it, that's something of a rarity in comics. Sure, all of your solo protagonist books have friends and sidekicks and a supporting cast, but those tend to cycle through frequently depending on the writer. Or it's just a two-person team, and doesn't have the character dynamics that you get with a larger group. And, like I said, most of the team books treat all the heroes more like co-workers than friends. 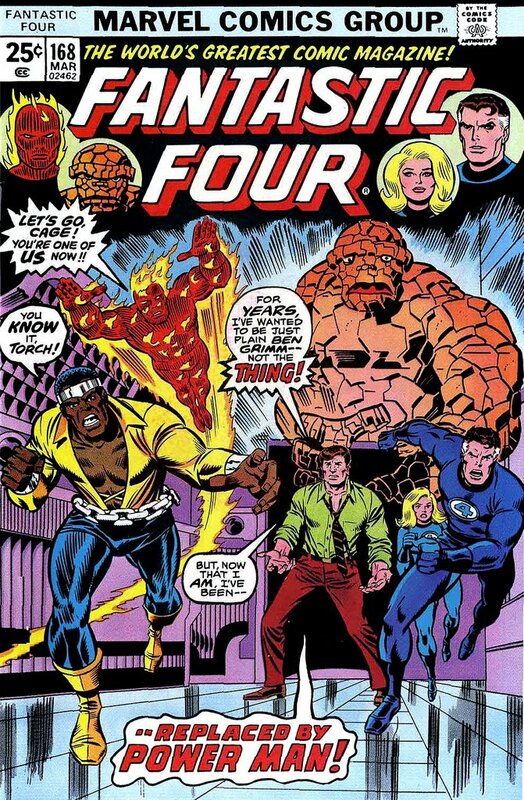 The FF were set up from the start as a group, and that's one of the reasons why the book tends not to fare as well when "outsiders" are brought in as replacement members. You can't just bring in Power Man and expect the new dynamic to work -- it might be momentarily interesting, but unless the character is brought in and treated as a friend, you're undermining one of the book's central premises. Oh, sure, the exploration and expanding human understanding angles are definite positives for me as well. But what defined the book for me, and why I absorbed so much of it throughout my life, was the ongoing notion of being a group who wanted to be together regardless of whether or not they had superpowers. That was the genius that Stan and Jack brought to the table a half century ago, and it's a magic that has rarely been captured since. Happy anniversary, Fantastic Four! The first comic I ever bought was Fantastic Four #197. Liked it so much I decided I should probably buy it every month for the next 33 years, and pick up the 196 issues that preceded it.